The holidays – the food, the fun, the fashion!! I love dressing my kids up for the holidays, and they usually have different outfits for each event. 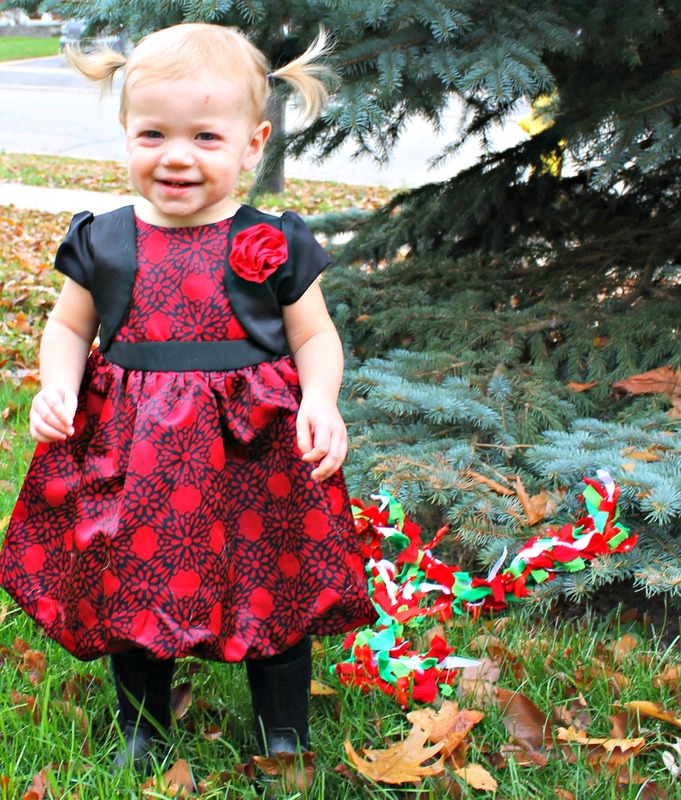 I love love love buying the kids fun outfits, but the price tag usually reins me in, especially around Christmas. However (my apologies to the Budget Master), I recently discovered Giant Tiger’s kids line of clothing and they are so cute and SO affordable! I can shop away guilt-free! Andrew fits into the Monkey Bars brand, which is made for running, jumping and playing. It is durable, stylish, and affordable (I can totally vouch for this – I bought Andrew a few pairs of their jeans for the start of school and even though Andrew plays hard, they are all still in excellent shape three months in). The brand tends to fit on the slim side, which is perfect for my kids. Unfortunately for me, Andrew has started to have an opinion on what he wears sometimes…and this was one of those times. He refuses to wear dress pants, so we settled on dark jeans so they don’t look quite as casual. I love that they have an elastic waist as Andrew hasn’t quite mastered buttons and zippers yet…or he’s just too busy to care! I paired his dark rinse skinny jeans with a cute plaid shirt. Andrew told me he looks like Daddy in it! 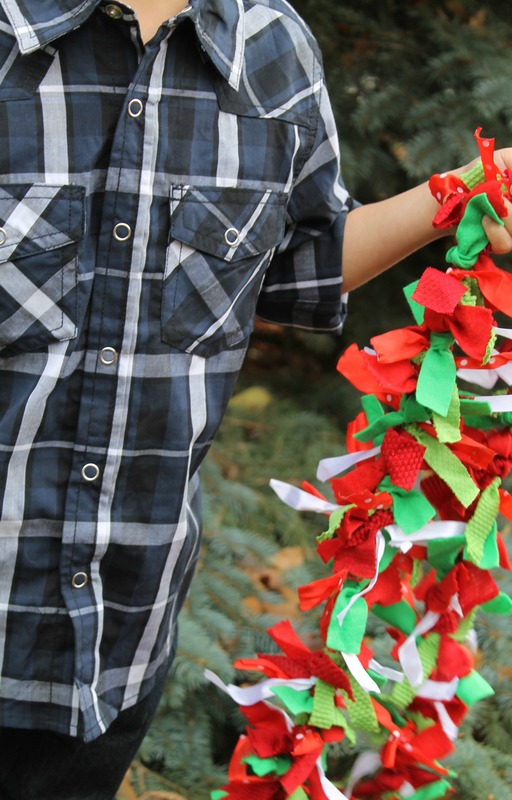 If your kids are anything like mine, they will want the fun holiday wear as well! Andrew was adamant that he have a Christmas shirt and socks – and Giant Tiger totally delivered. I’m not usually a fan of buying holiday-themed shirts and socks, for the sole reason that it won’t get worn for more than a month or two. Yet again – I don’t mind when the prices are as low as they are at Giant Tiger. 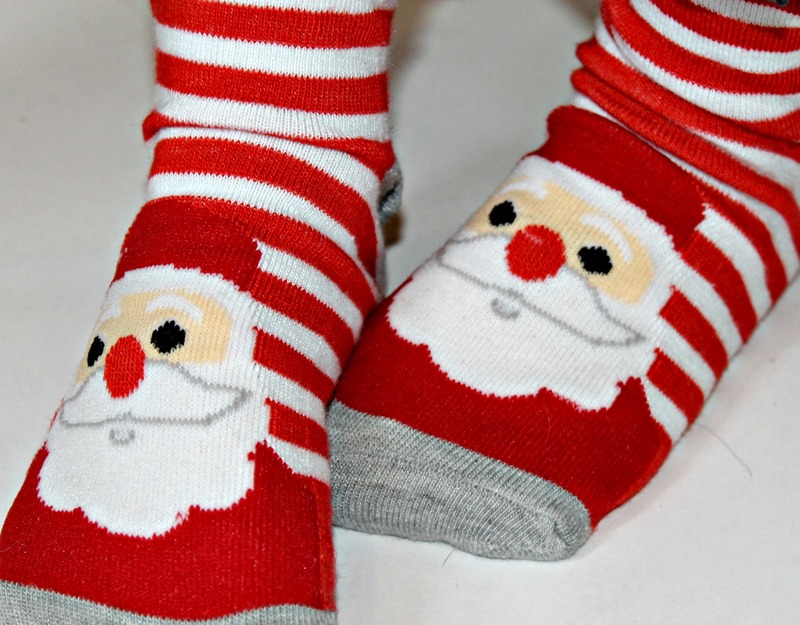 Andrew’s Christmas socks only cost $1.50 (RIGHT?!?!?!) 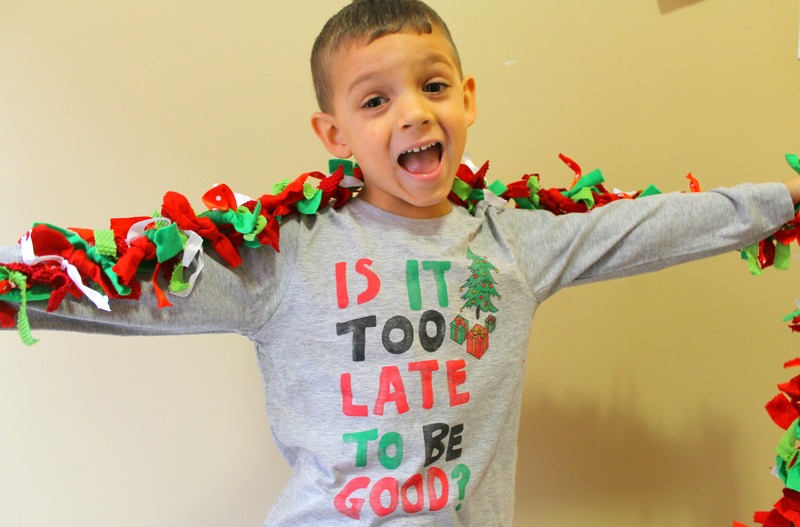 and his long-sleeved Christmas shirt was $7! We were both happy with our purchases when we left! 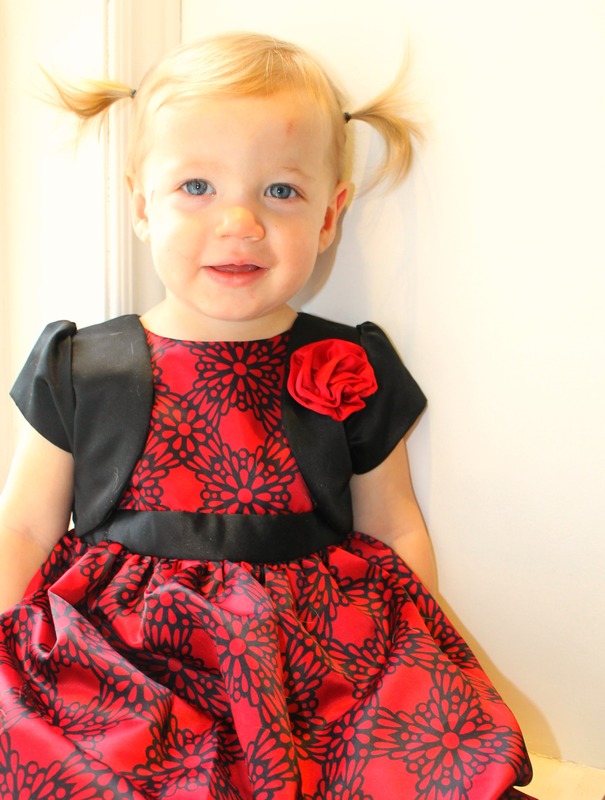 I found a Monkey Bars dress for Lily as well, even though she’s still in infant sizes. 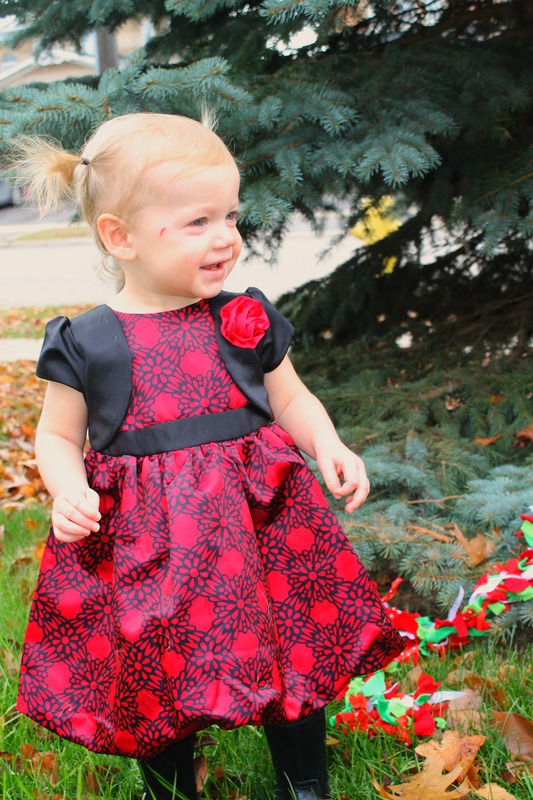 Giant Tiger had an absolutely adorable holiday dress for her – and the prices are incredible. I have no qualms about buying multiple outfits when the price point is so affordable! The dress is such great quality, and I love that it’s not sleeveless, so it’s a bit warmer for her (you know, in case it actually gets cold here by Christmas! We have been so lucky with weather this year!). I also love that the skirt of the dress is full, but it doesn’t have a crinoline, so it’s still nice and soft for her. It is a bubble hem, so it’s comfy cozy for my little lady. The shrug is attached to the dress so I don’t have to worry about her losing pieces of her outfit throughout the day. Plus – how sweet is that little flower on her shrug? It’s only December now – which means you still have enough time to pop in to Giant Tiger to pick out some more holiday outfits for your kids – and while you’re there, I’ll let you in on a little secret – it is an AMAZING place for stocking stuffers for the entire family – you can even buy lottery tickets (in Ontario anyways)! Happy Shopping! 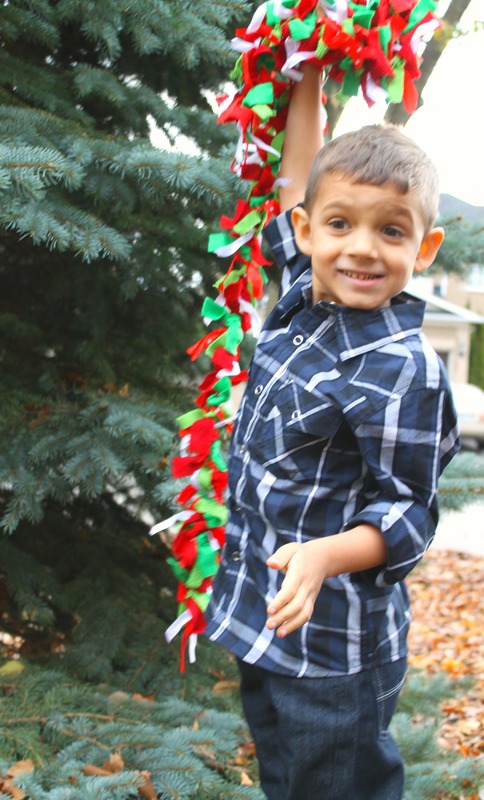 This entry was posted in Fashion, Kids and tagged giant tiger, holidays, kids fashion.